Be the first to hear about their new releases and deals. 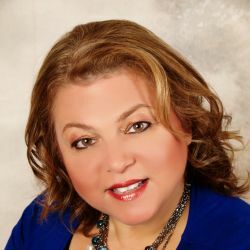 Download the Booksprout app and search for Angela Hausman today! The Buried Ladies series (Buried Ladies, Scars of the Past, and 1 more) are the first fiction written by Angela Hausman since creating a highly acclaimed (by fellow 6th graders, teachers, and family) science fiction series as a teen. Angela currently lives in Washington, DC, where she works as a marketing consultant and teaches marketing at George Washington. She writes in her home office, where various dogs and cats block her in until she's finished the day's writing quota.